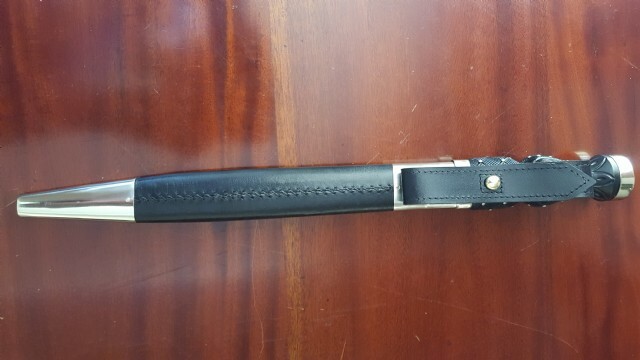 Developed from the ballock knife of medieval Europe. 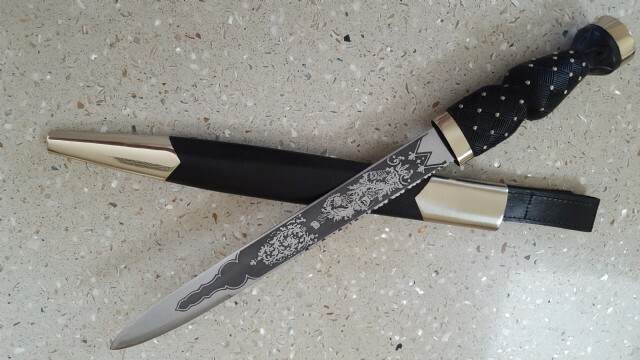 Blade 30cm etched with traditional Scottish foliage and thistle motif. 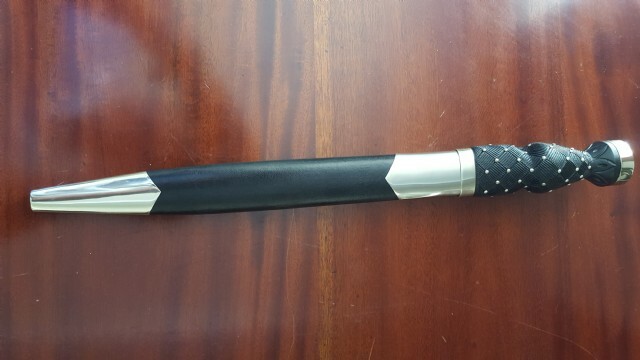 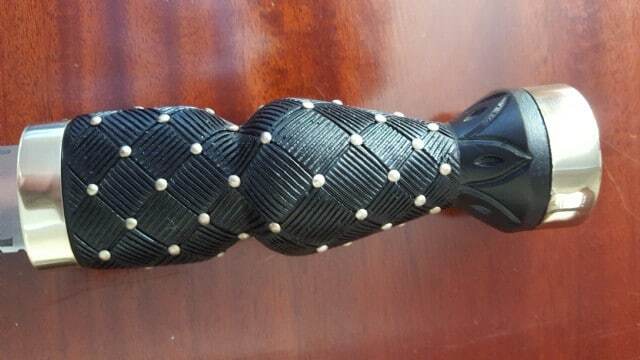 Black wooden handle carved in leather interweave pattern with ornamental silver nickel tacks.